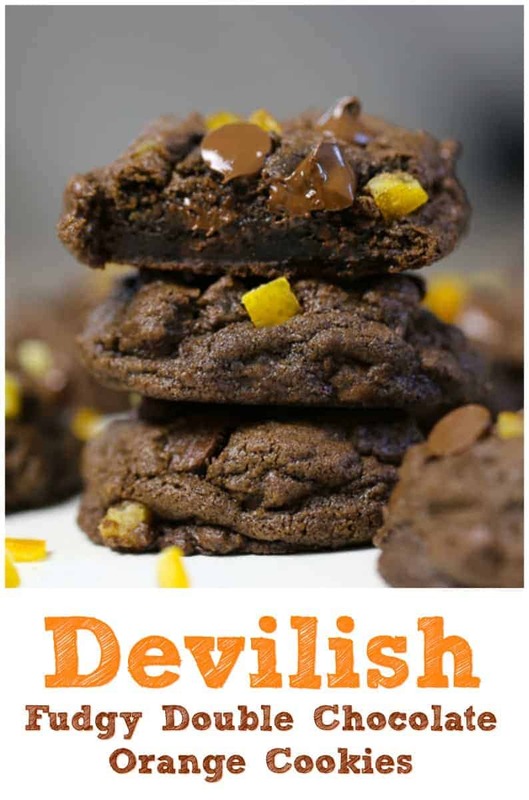 Devilish Fudgy Double Chocolate Orange Cookies are sinfully indulgent! I wanted to eat the whole batch. Seriously. 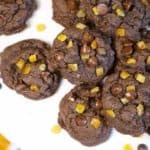 There’s something really special and epic when dark chocolate and orange come together, especially when you bite into these tempting soft, thick and fudgy double chocolate chip cookies studded with sweetened candied orange peel. 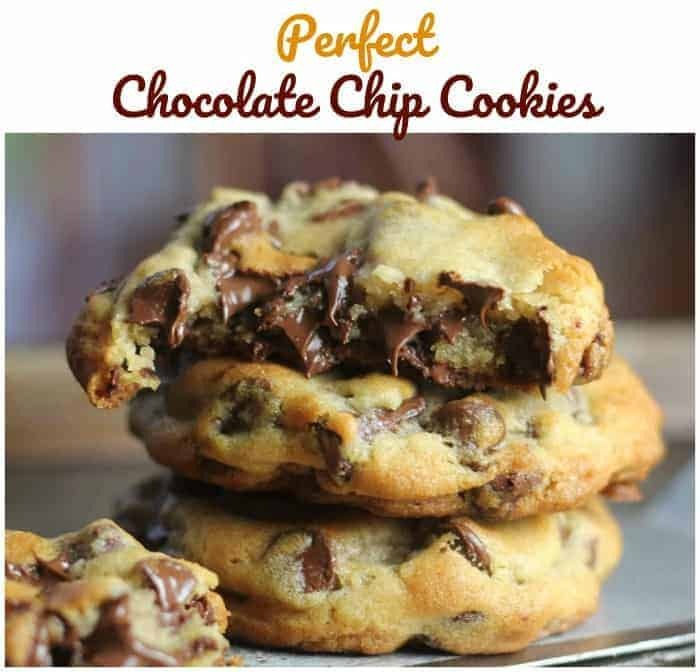 They’re SO devilishly tempting, you won’t be able to stop at just one cookie. Trust me on this one. But I’ve never been turned on by orange peel like this before, partly because I know what orange rind tastes like. It’s bitter and I never wanted to go to the extent of making it candied. I tend to stick to orange extract, orange zest, orange juice or the actual orange sections when I make actual orange desserts. So now, we have a new friend to join our baking adventures. Candied Orange Peel has turned my head, literally. I love it’s diced and ready to use as is! 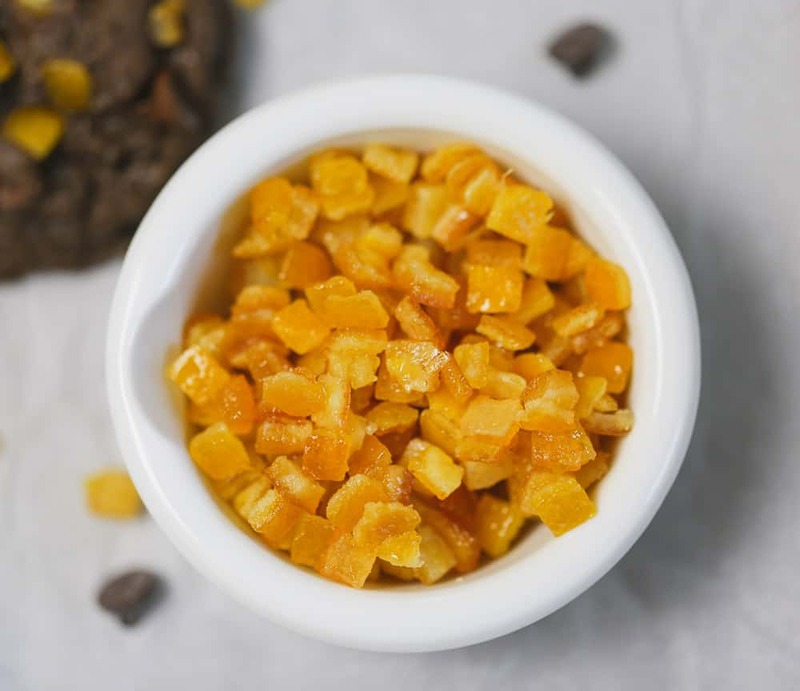 The orange peel comes from the heart of Florida, the orange capitol of the world giving them access to the freshest citrus at the peak of ripeness to produce the finest candied fruit available. 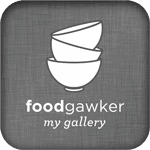 That’s why I am looking forward to trying it in some upcoming holiday recipes, along with a mother-load of other goodies Paradise Candied Fruit sent me. 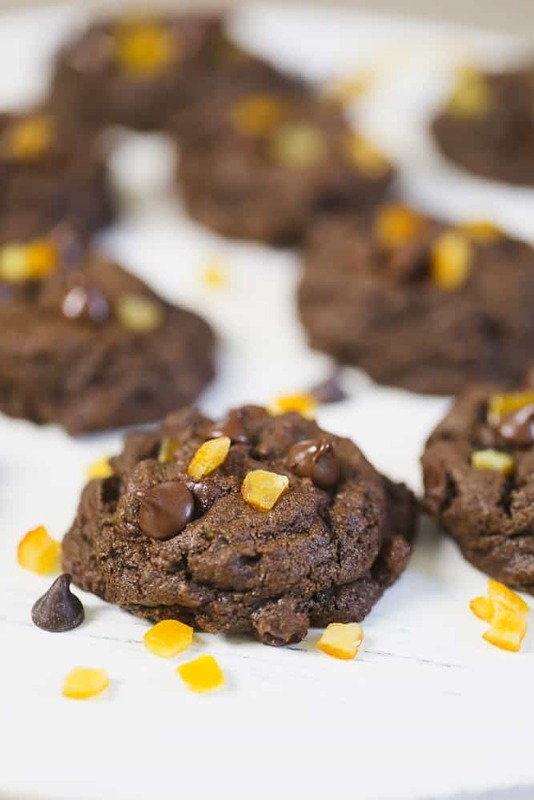 That vibrant orange peel is bursting with orange flavor and compliments the dark chocolate so well, that it will make you all warm-fuzzy-feel-good, like a crush you want to get to know better. 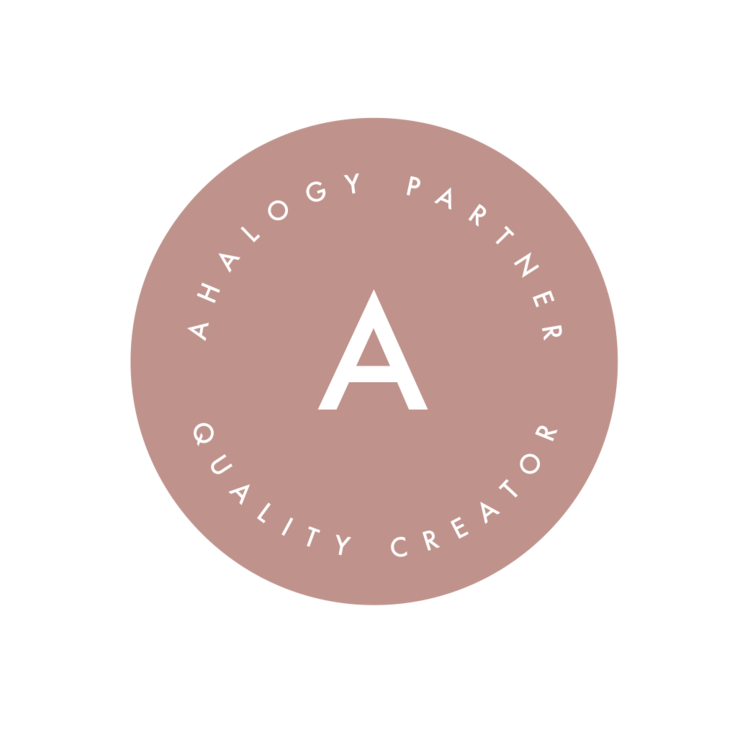 See what I mean by romantic affair? 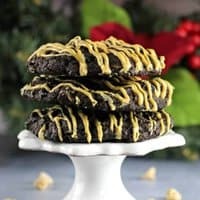 Holiday-ish flavors for sure…perfect for upcoming Halloween, Christmas Cookie Exchanges, Easter basket goodies, Mother’s Day gift in a lovely cookie tin, New Year’s Eve…. and all seasons! Of course! 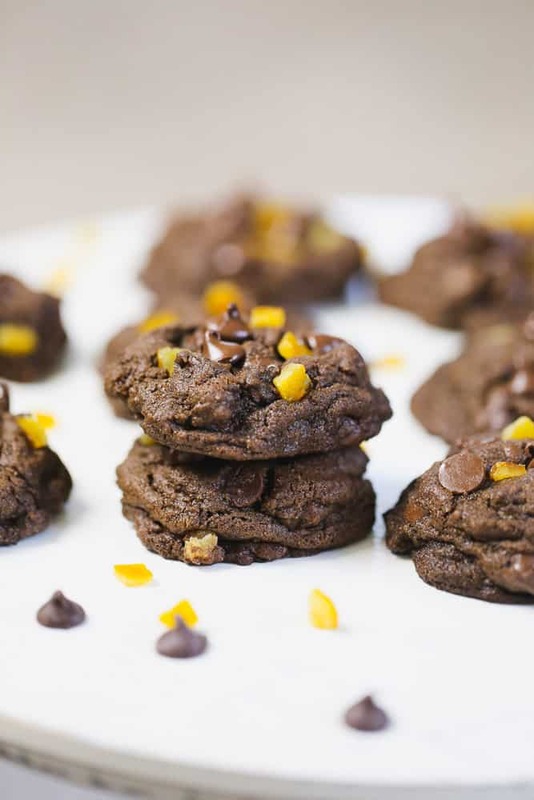 For more orange inspired desserts – here ya go! 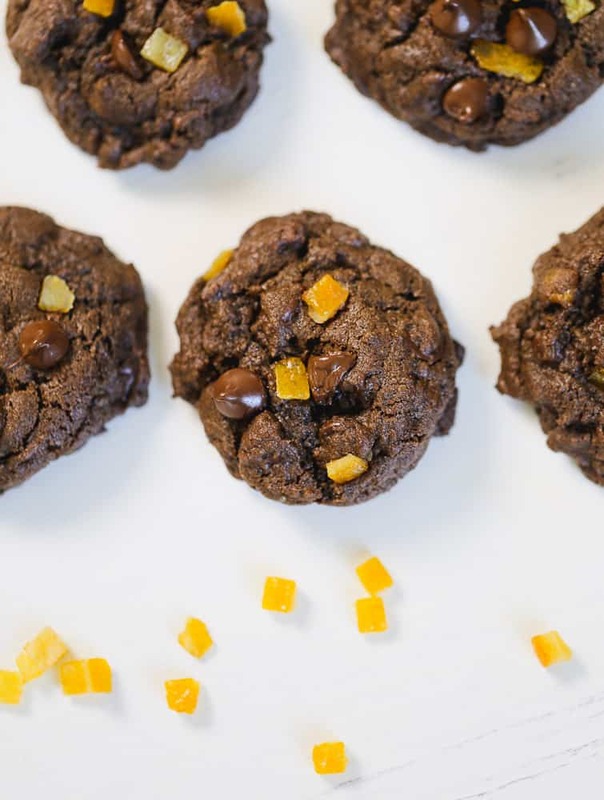 There's something really special and epic when dark chocolate and orange come together, especially when you bite into these tempting soft, thick and fudgy double chocolate chip cookies studded with sweetened candied orange peel. 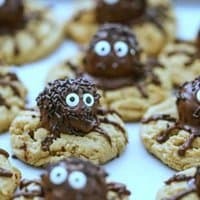 They're SO devilishly tempting, you won't be able to stop at just one cookie. Using a mixer, cream together butter and sugars on high speed for 3-4 minutes until light and fluffy. Add eggs one at a time, mixing well between additions. 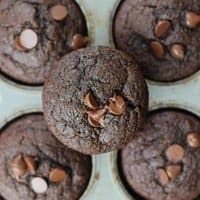 Add in all-purpose flour, unsweetened cocoa powder, cornstarch, baking soda, and salt and mix on lowest speed setting until dough is just combined. Don’t overmix, but get dough mixed together for even color. 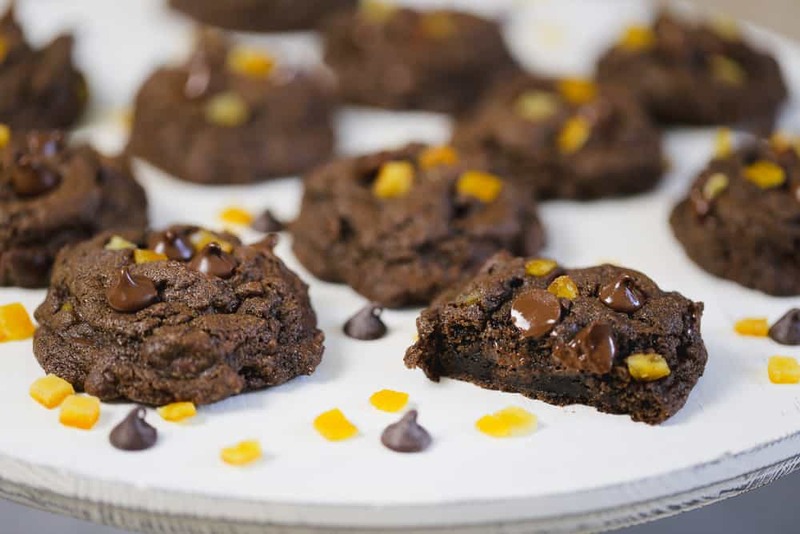 Stir in chocolate chunks and orange peel. Place the dough in the fridge for 10-15 minutes to chill. Scoop dough balls using a medium cookie scoop and heap the dough in the scoop so it looks like a ball. 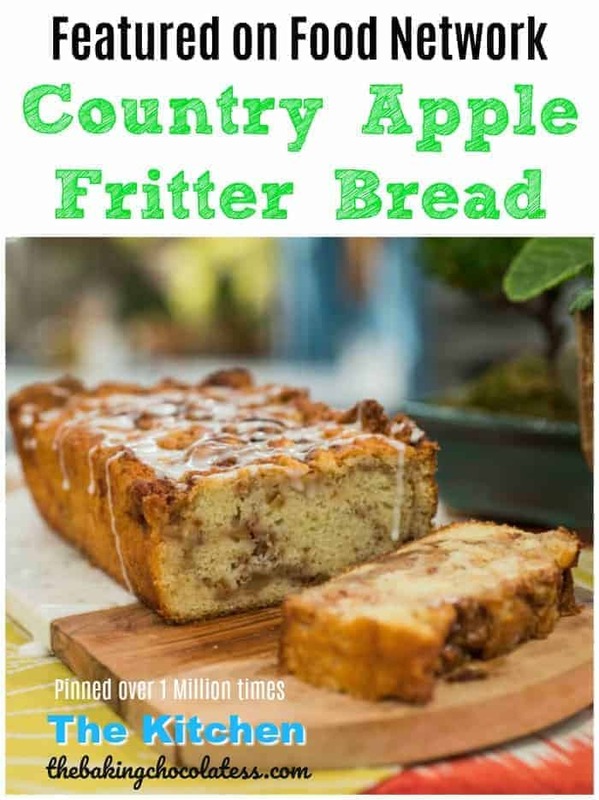 Place onto baking sheets. 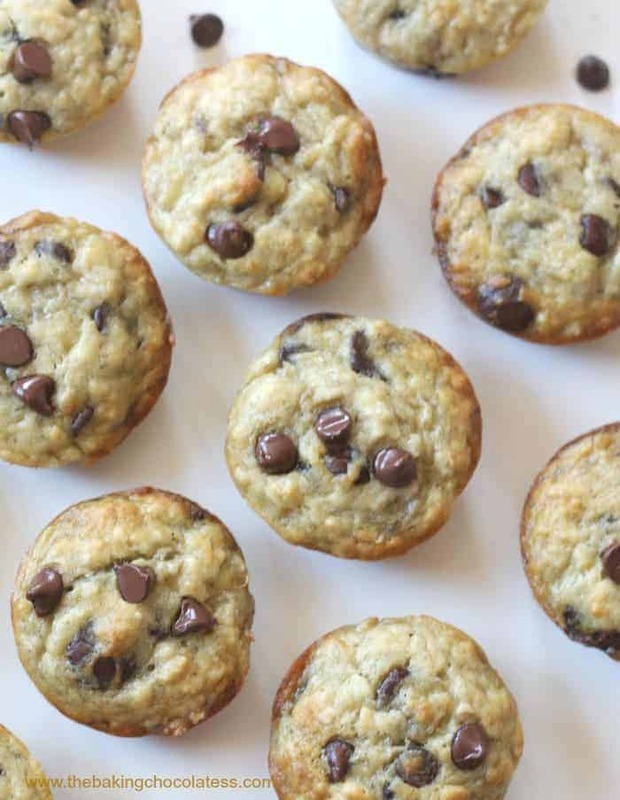 Place several chocolate chips and orange peel on top. Bake cookies for about 10-11 minutes and cookies look almost set. 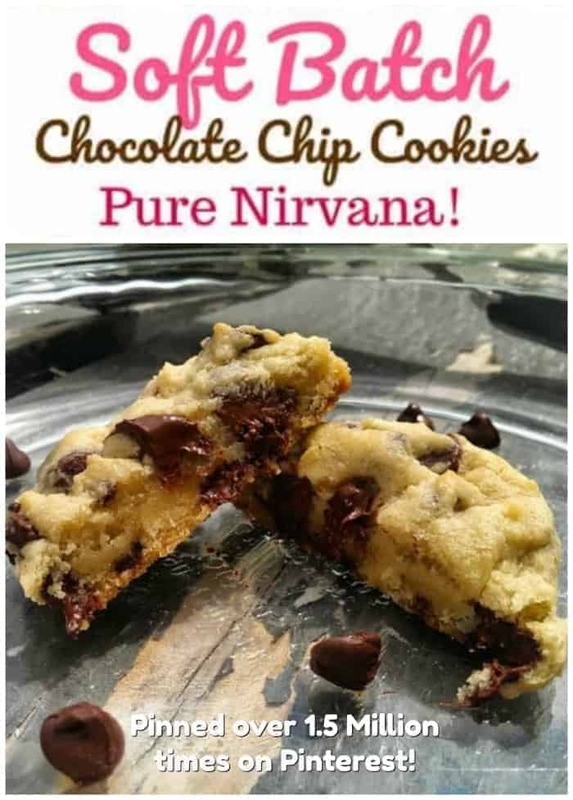 Remove from oven and let cookies cool on the baking sheets if you can wait that long to sample! 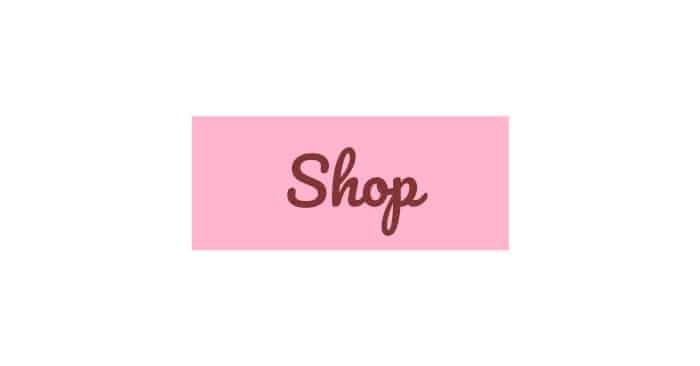 Links to Amazon – See my non-disclosure for more info. 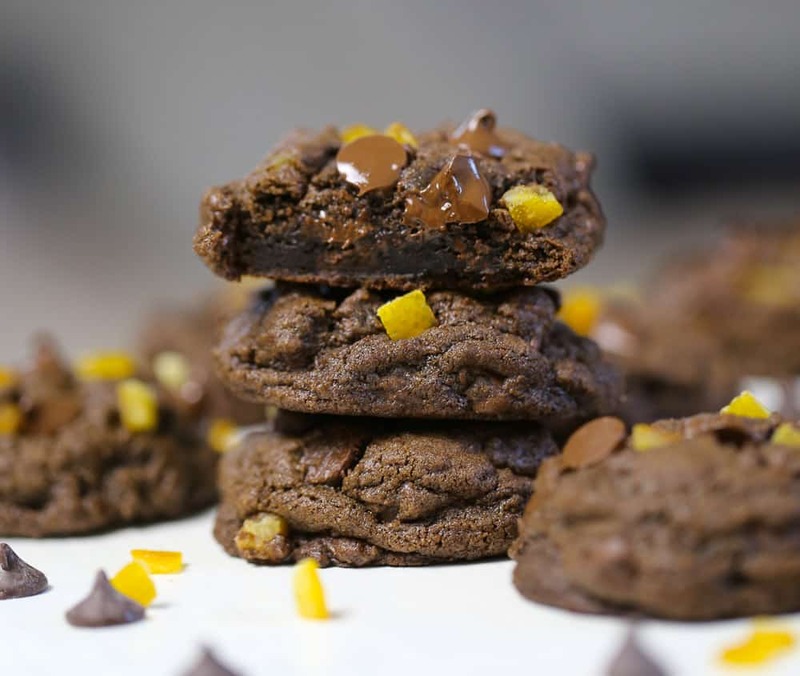 Chocolate and orange is so yummy together!! 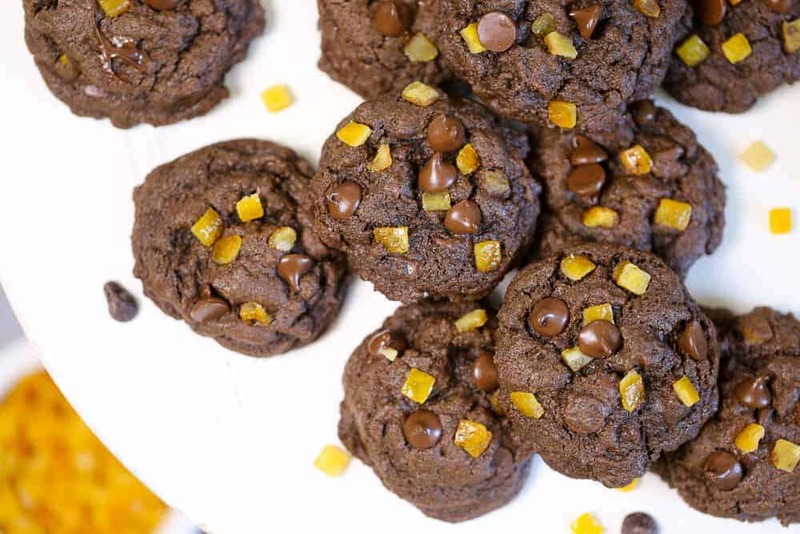 Love that candied orange peel you used in these cookies. Pinning!! 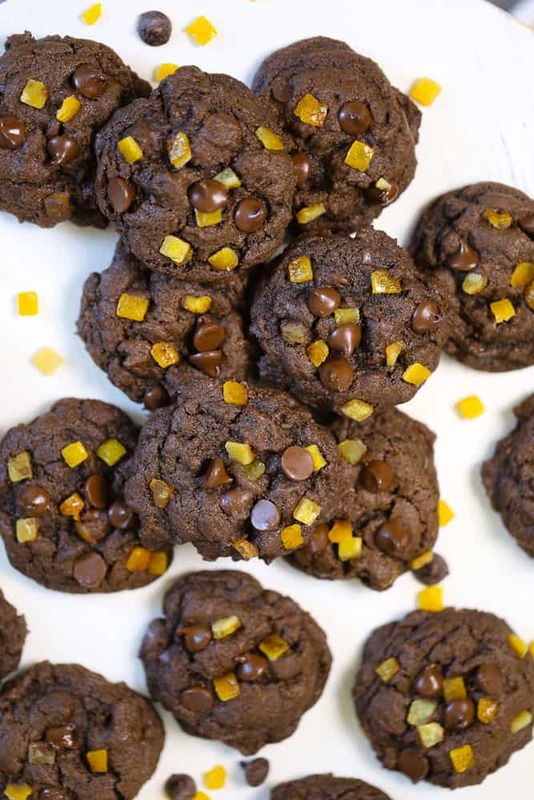 Orange and chocolate belong together! I have a serious chocolate craving right now looking at your pics. . .I think I’ll have to whip. up a batch of these babies today! haha! You crack me up! I think I might be jealous! 🙂 LOL!